Hello, Friends! 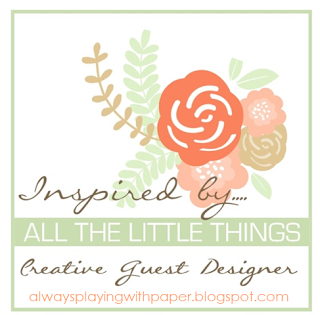 I'm so happy to be here today sharing this week's Papertrey Ink Design Team Tips! 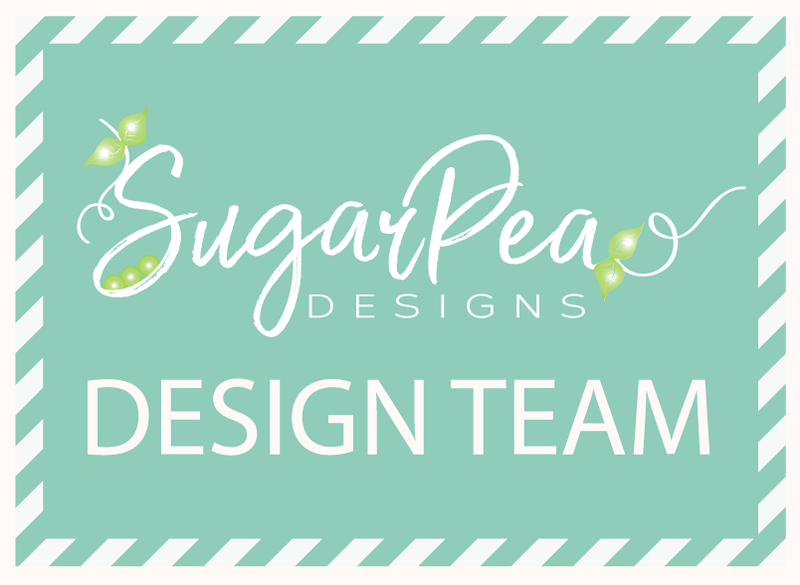 Do you ever feel like you get stuck in a design rut? I know I do! 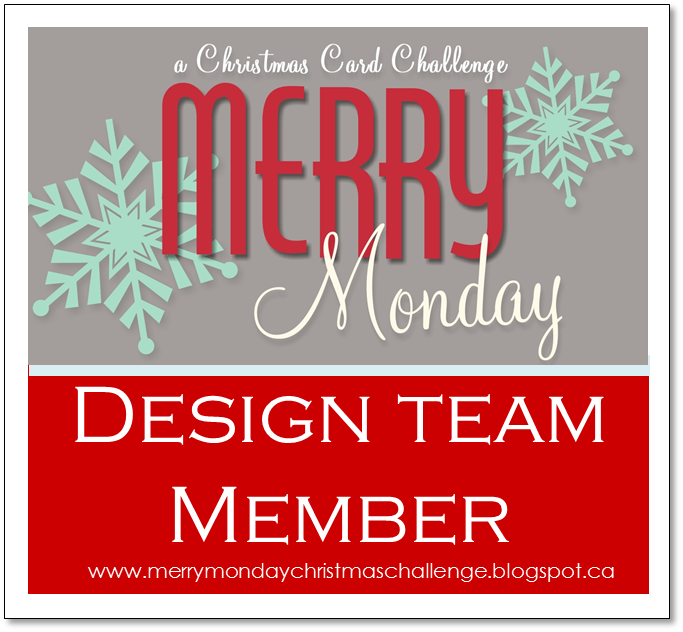 For today's Design Team Tips, I'm sharing an easy way to create visual movement on your cards using an offset gate fold card! Not only does it create visual interest, but with its unique fold, it gives the recipient a bit of the unexpected as well! I will be sharing all of the measurements that I used for today's cards as well as instructions on how I put them together. They are so easy to assemble, you'll be whipping out a whole set in no time! To begin, I chose a bright and springy color combination that I thought would help us remember that no matter how cold it is TODAY, Spring really will come! LOL! I chose Enchanted Evening and Green Parakeet for the two card bases. The base of the offset gate fold card measures 8 by 5 1/2 inches. The small flap on the right side measures 1 1/4 inches and the large flap on the left side measures 2 1/2 inches. This will leave a small gap between the two flaps. This gives you a nice visual of how the card looks underneath. I used a 4 by 5 1/2 inch piece of Bitty Big: Harvest Gold pattern paper to place inside the card. 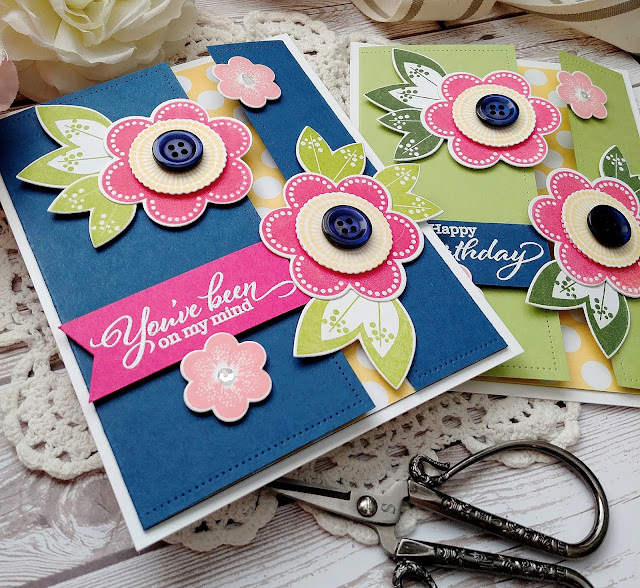 This gives just a little peek-a-boo from the front and gives the card some extra visual detail. If you don't like that aspect, you could always just do some stamping along this portion, or leave it blank depending on the theme and feel you want your card to have. I was going for a playful and fun spring-like card, so polka dots were the perfect choice. 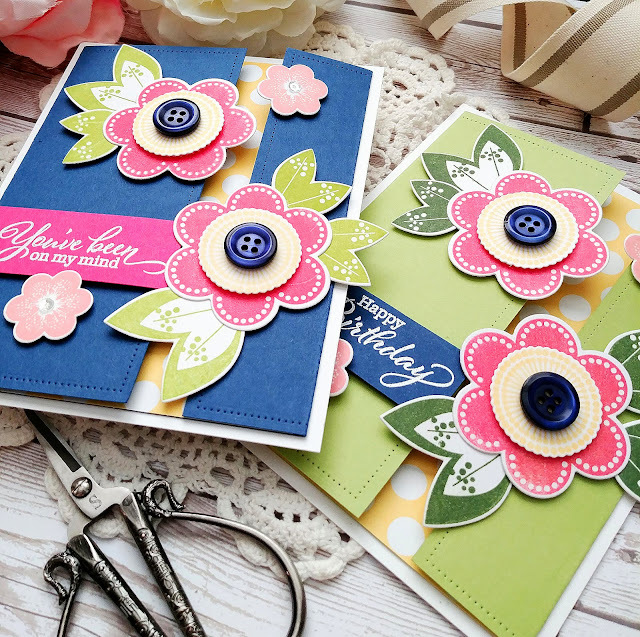 I chose to use one of my favorite stamp sets; Friendly Flowers for this pair of cards. I used the Friendly Flowers die cut and the Friendly Flower Extras dies to die cut all of the pieces I needed and then got to work stamping them. I used my mini MISTI to make it go quicker. The ink colors that I used are: Hibiscus Burst, Harvest Gold, Pale Peony, Green Parakeet, and New Leaf. I just love the subtle detail that the Nesting Basics Pierced Rectangles dies add to my designs. You can see how I added it to the edges of the card flaps. I don't use buttons nearly as much as I used to, or nearly as much as I OUGHT to, but they just seemed fitting for today's designs. I attached some Enchanted Evening Buttons using mini glue dots to the centers of the large flowers. I also added some sparkling clear sequins to the centers of the small flowers for some shine. 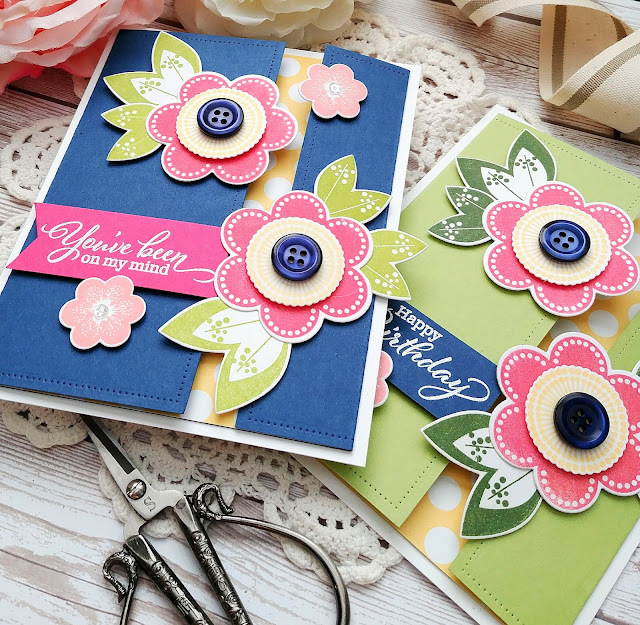 The sentiments, which are both from the Friendly Flowers set, are heat embossed in white onto strips of cardstock. I used the end of one of the XO Skinny Mini tag dies to give it the notched look. Normally I just use my scissors, but I really wanted them to have nice finished edges. I arranged the flowers and leaves in a zig zag pattern to create the movement I wanted using foam squares. I decided that I wanted the card to have a white background, so I added the entire gate fold card to a white base. This is not folded or anything, just a backer to give the card a little bit of contrast. 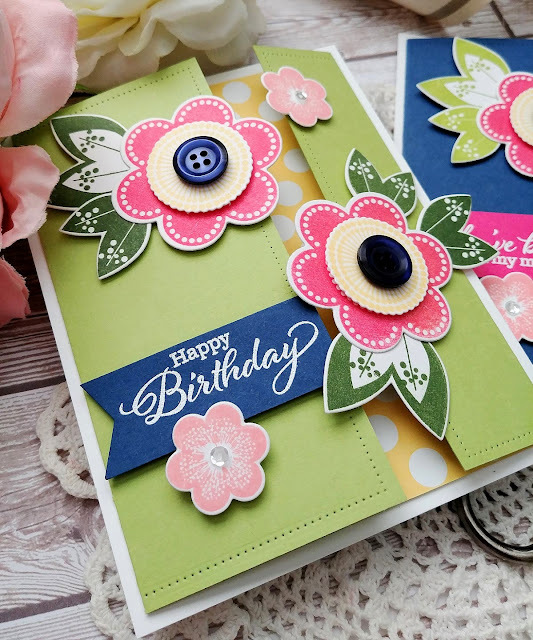 You will want to be careful, if you add this, to make sure that your card can still open and that the white portion won't impede any movement from the overhanging embellishments. The leaves on the right side of my card simply fold behind it when it is opened, but I didn't make the pink portion quite long enough, so it catches a little bit. Also, you will have plenty of room to stamp or write your greeting inside, but be sure you don't stamp or write in the gap. I hope you've enjoyed today's Design Team Tips. As always, if you have ANY questions, please leave me a comment and I will get back to you! Thanks for fluttering by! I am sure the recipient would like find the design of this card delightful. Thank you Kelly! This is one of the most adorable cards I've ever seen! Can't wait to duplicate these with Ruby Rose!! Kelly, love this idea for the offset gatefold card. 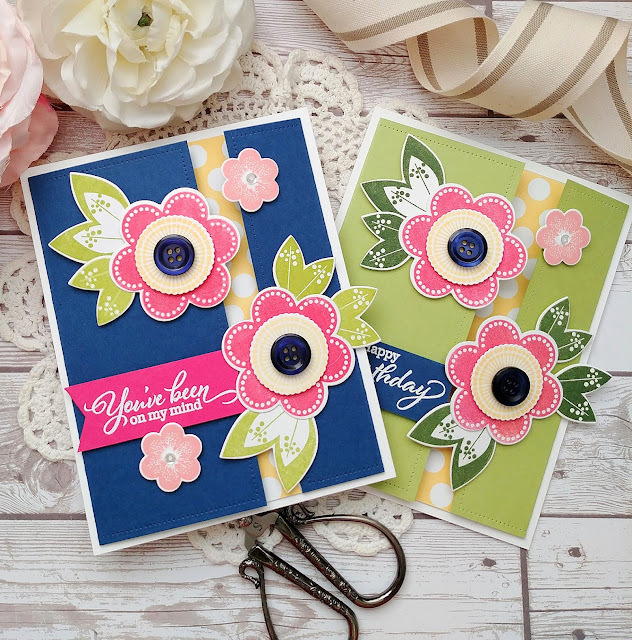 Both cards are gorgeous with the spring inspired colors. I have not used the Friendly Flowers for a long while but am inspired to dust them off! Thank you ,as always, for your beautiful designs and your detailed instructions. Have a great weekend. This is lovely Kelly. Like the way it opens! Such a fun design!. Will put a SPRING in the recipient's step. What a fun design & wonderful colors, Kelly! 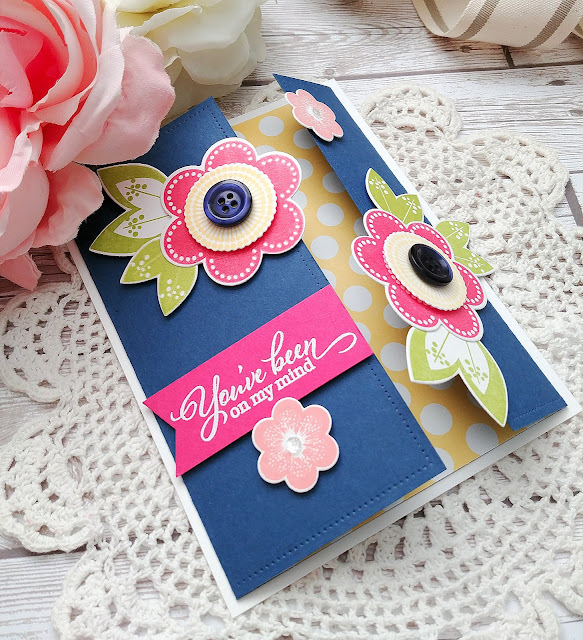 Thanks for inspiring me to use my Friendly Flowers & make a card with a fun fold which I never do! I struggle with banners for sentiments like the Happy Birthday since they don't appear centered even though they are. The way you added the flower is perfect--gotta remember that! Well, these cards just make me smile! Such happy colors and embellishments. Buttons? When was the last time I used those on a card? Definitely something to think about! Yes, we all need a bit of Springtime about now. Thanks, for a delightful design idea. 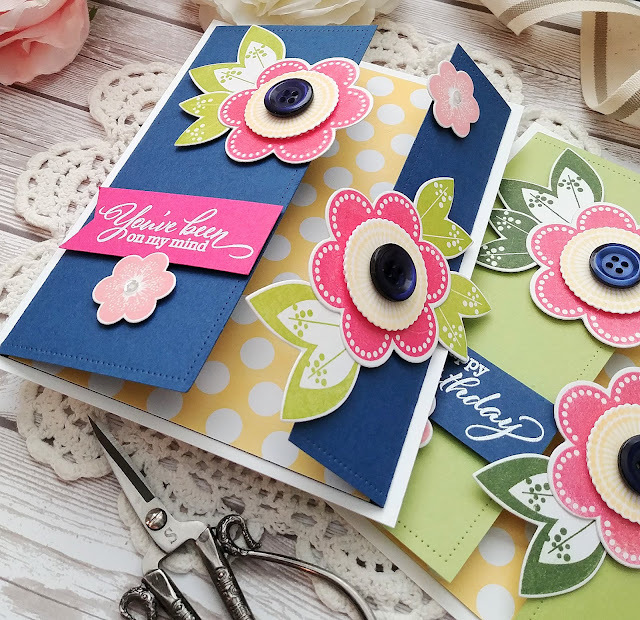 What fun gate-fold cards, Kelly! Love your bright and cheery color scheme and great detailed instructions. Keep warm! So fun! I love bright and happy colors and the idea of an offset gatefold is something I have not tried. Hi Kelly! What a FABULOUS design! Not only do I love the off-set idea but your choices of palettes always have me ohhing and ahhing. I have a question, when you get a chance. I studied your design and noted your comment about the leaves on the right side plus the pink portion you said catches a little. Do you mean the notched tag needs to be a little longer, so it doesn't catch on the edge of the card? The leaves on the right side don't catch either? I want to thank you for ALWAYS taking the time to answer my questions in the past. And for sharing your measurements & process. I LOVE, LOVE YOUR WORK!! 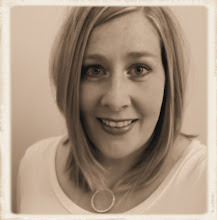 Kelly, you are amazing! I love the fresh, spring-like feel of your cards today. I love this set too and you just made me want to dig it out! But more importantly, I've been wanting to stop by and tell you how much I love your card designs. You are so very creative - you think outside the box and it's so much fun opening up your blog to see what you have to inspire us next. Great work!! Wow, those are lovely cards; so playful and colorful. Pretty color combo! Wow! You really know how to make a girl's day! You are beyond sweet! Thank you so much. I really appreciate you stopping by! Thank you, Suzanne! You're a dear! Thank you for popping in and brightening up my day! Thank you so much! You are so sweet! I appreciate all of your sweet comments and for popping in to brighten my day! Thank you, Peggy! You're so sweet! Thank you, Jane! You're so sweet! Thank you, Debbie! You are so sweet! You have a great weekend too! Awww...you are so sweet! Thank you .I love Ruby Rose also! It will be perfect! these are so pretty, love the folds! 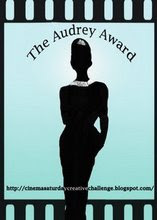 Great design, Debbie, & something a bit different! Love them!! Love the design and the bright colors you used! Thank you so much ! I appreciate you stopping by! The cards are just gorgeous, and I so want to give this style a try. How did you emboss the front flaps along three sides? I just stopped running it through my die cut machine before it embossed too much on the back.